AthTek DigiBand V1.7 Has Been Released. New Interface! We have released a new version of AthTek DigiBand which has many new features included. All the purchased and trial users are allowed to update to the new version for free. If you were using a free license which ends up with “******431WPD”, please do not install and register the new version with your license on the same computer. Otherwise your license will be expired immediately and you have to buy a new license for continuously using. We redesigned the interface of AthTek DigiBand, to make it more beautiful and simple for using. The main functions of AthTek DigiBand is automatic music composition and accompaniment. The 6 buttons will guide you to access exactly the panel you need to use. A new function has been included into the new version of AthTek DigiBand: user can make a music composition by only one click without thinking. 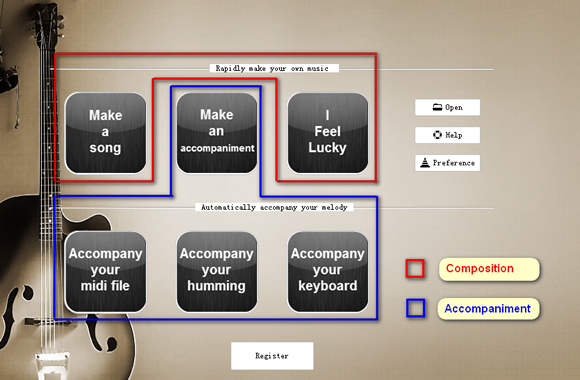 “I Feel Lucky” will enable you to automatically compose music in seconds. 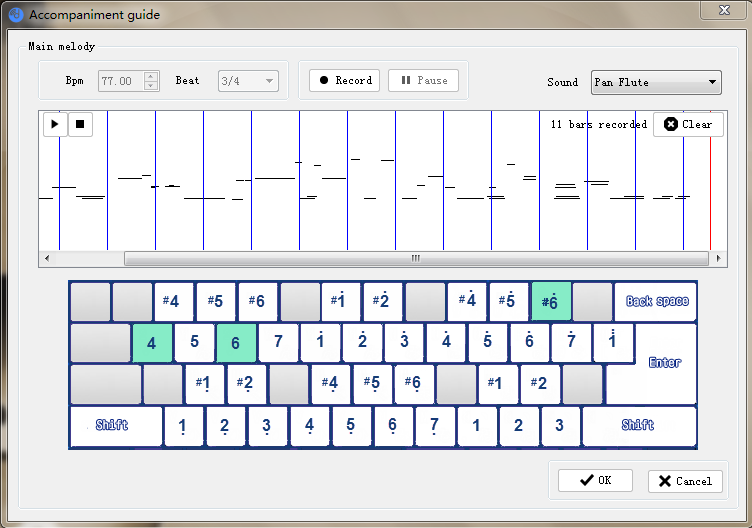 Some of music lovers spent tens of dollars to buy a virtual piano keyboard program. You don’t need to waste even a penny if you have AthTek DigiBand. 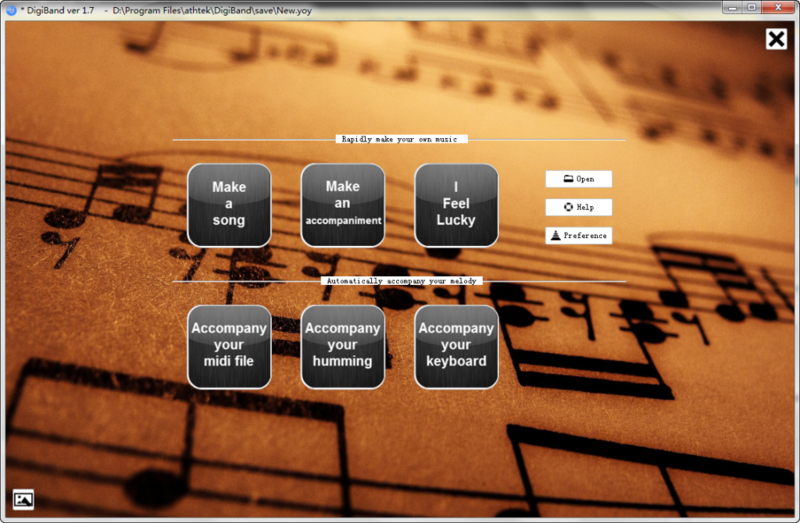 Because we have included a virtual keyboard into the software and will let you be able to make an accompaniment to your computer keyboard playing instantly! We have enhanced the sound engine and the audio quality has been improved. New genre DJ has been added to the new version. 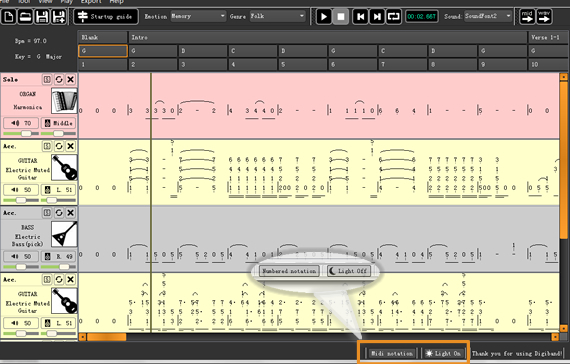 Click any track in the composition, you would be able to select the range for editing. 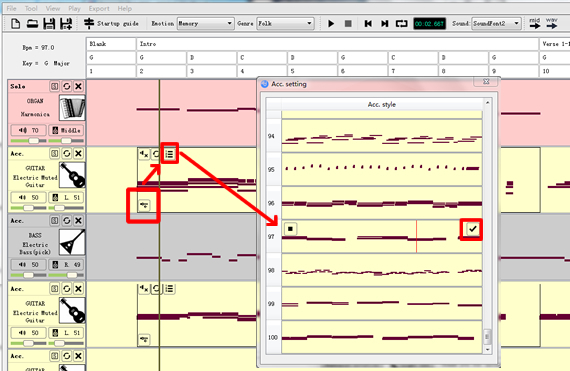 You can flexibly change any small section of the track to another music style from the list. This would be greatly helpful in writing a medley of songs. 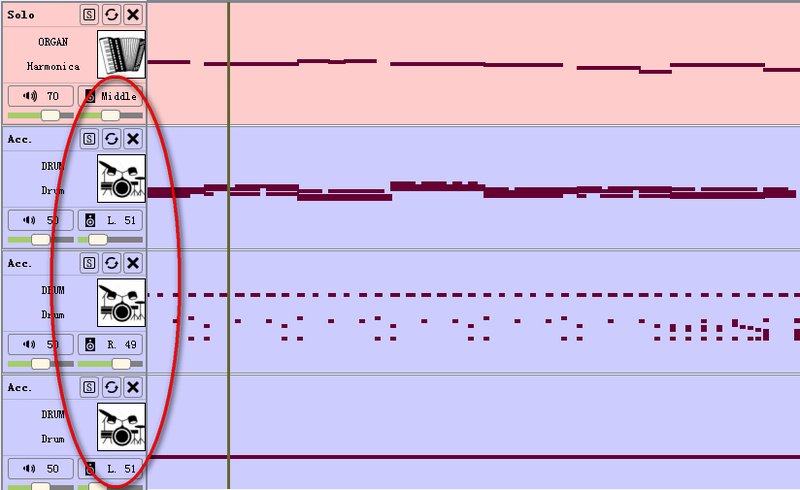 In the new version of AthTek DigiBand, you would be able to switch numbered/midi notation with one click. 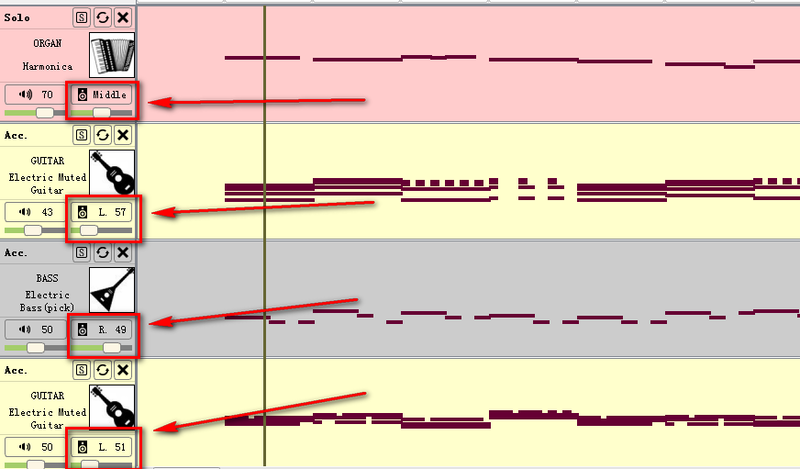 You would be able to export or even print the notation directly in the future. You will be able to adjust the volume of left/right channel in each track. Thanks to Richard who suggested that it should support a second drum. Now Richard can make Southern Rock songs with double drums. 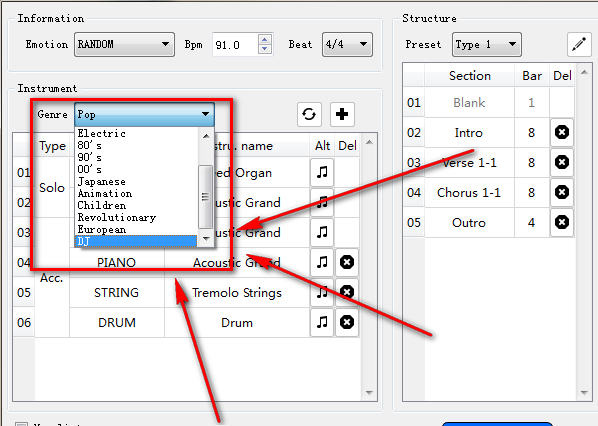 If you are looking for a music composition idea generator, intelligent music composer or easy-to-use music educator, AthTek DigiBand would be exactly the software I highly recommend.